Keep that bacon scent on your person all day long! It's a sunny Sunday morning and you wake to the sweet smell of bacon wafting from the... bathroom? 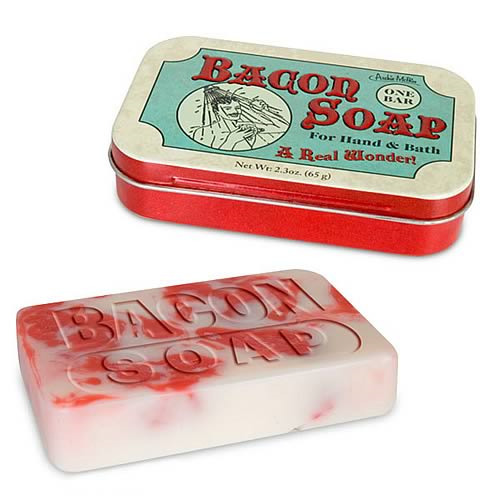 That's right, we've captured the enticing aroma of frying bacon in a bar of soap! Each marbled 2.3 oz. bar has the words "Bacon Soap" debossed on top and comes in a fancy 2 3/8-inches tall x 3 3/4-inches wide x 7/8-inch deep tin. Order yours today!